Is a Smart Grid Worth the Money? using two-way digital technology that controls in-home appliances to save energy, cut down on costs, and increase grid reliability (read: fewer headache-inducing blackouts). The U.S. government has already invested plenty of cash in building out smart grid projects, including $47 million in July and a whopping $3.4 billion topped off with $4.7 billion in matching private investments in October. But while these benefits are nothing to sniff at, it’s been hard to pinpoint just how much CO2 a U.S. smart grid could save–until now. 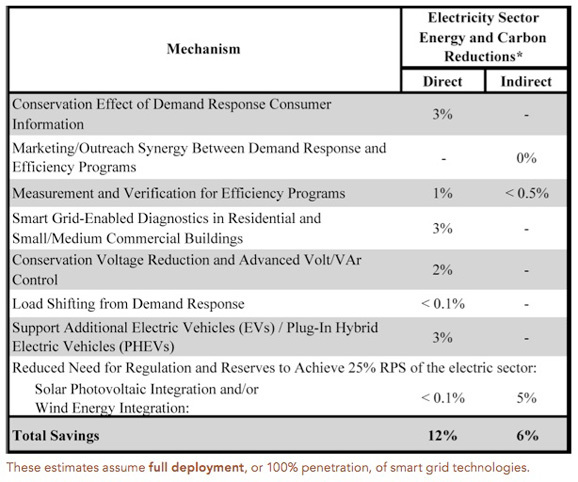 Keep in mind the little disclaimer at the bottom: these estimates assume 100% penetration of smart grid technology. That’s a long way off. 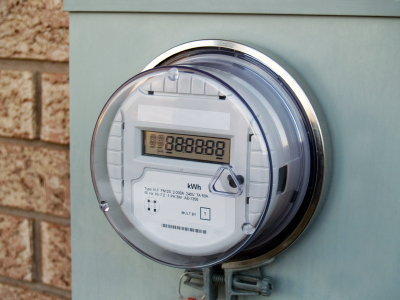 The majority of people don’t have smart meters, and even though 33 million devices are expected to be installed in U.S homes by 2011, we can’t be sure that that heavy government support will continue through 2030. Still, even partial deployment is critical for an electrical infrastructure that can one day support millions of electric cars plugging into the grid at the same time every evening. Because the smart grid won’t just save CO2–it will also wean us off nonrenewable sources of energy.